Equity plays a major part in strategies pertaining to financial plans; this, in turn, determines the return on investments and future security. Quite often, we have dreamed and yearned about traveling the entire world with our loved ones after our retirement. However, how many of us have made conscious efforts towards securing this dream? It isn’t unnatural to face trouble and anxiety while thinking about the financial aspects of your future. The future is a path that should be traversed with a proper strategy in hand; this ensures that you are not lost anywhere. 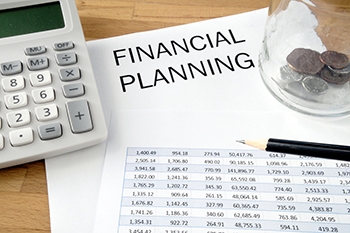 Financial planning is an important tool that gives you the scope for savings, pooling of monetary resources and investments, along with future benefits. Equity plays a major part in strategies pertaining to financial plans; this, in turn, determines the return on investments and future security. In accounting terms, equity usually refers to the difference in assets and liabilities. This may either be positive or negative. In general, equity represents investments made in shares and stocks, out of the mutual funds of shareholders or individuals. The share holder’s equity is determined by his/her ownership claim in the company. It is calculated by subtracting the total liability with the total assets of the shareholders. “One who fails to plan plans to fail.” – Benjamin Franklin. When there is proper planning for equity investments, rest assured that you have a secured future. Investing in equity is nothing but investment made in assets that give you returns. Out of your earnings, you have saved a certain percentage for your future and the rest is kept aside for various expenses. The concept of equity funds grants you the benefit of investing and getting returns out of the amount you have saved. This helps you to achieve your goal of a financially secure future. There is no minimum level of investment. Even a very small amount can be invested with appropriate returns. It is a kind of savings with returns processed at the management level with a low chargeable fee. There are no limitations on the method or type of investment. It could be done in shares, stocks, bonds, etc. This is done with by directly dealing with the company. There is no need for a brokerage commission to be paid. When investment is made on the shares of a company, there is a partnership of ownership which may lead to disputes and tension. It may take a long-term for the company to make a turnover, as the debts of the creditors and shareholders are deemed to be settled first. From, the point of view of a company, its equity investments could be analyzed and predicted for a better planning and decision-making in the business. Proper management of equity investments is required for the company to avoid confusion and maintain accuracy.